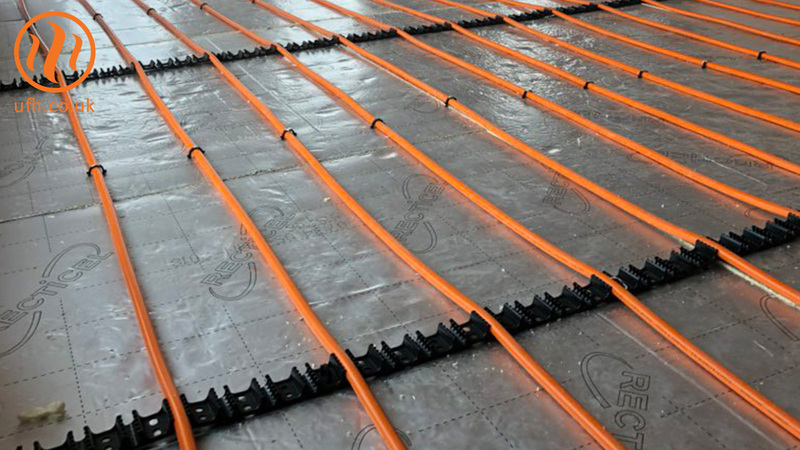 Continental Underfloor design and supply underfloor heating packages direct to the trade. Take a look at some of the reasons why our customers choose to use us again and again. It’s always good to get a recommendation. These new clients in Somerset had heard about us from a friend, who had one of our systems installed 10 years ago. 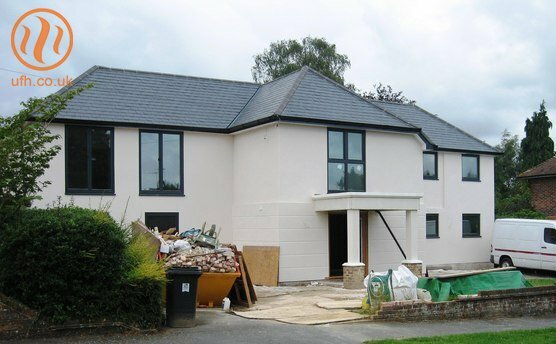 Based on their friend’s experience, they decided to ask us to quote for a system for their new extension. Our customer opted to use a traditional single-pour screed method (also known as “insulation under slab”). This approach isn’t used very often these days, as there are now more efficient methods available. However, this didn’t stop us from designing and supplying the right system for their project and meeting our customer’s requirements. Continental’s advisers always love a challenge, and this project certainly got them thinking... The customer was building a designer house overlooking the English Channel. 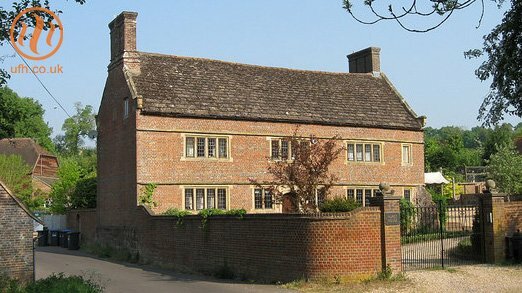 He wanted to go for full glazing throughout on the south elevation of the building. 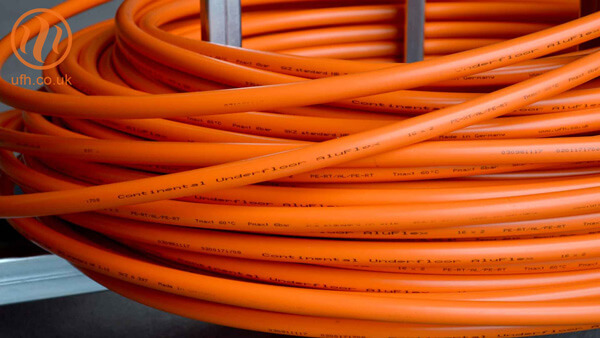 Keeping it simple is one of our core philosophies at Continental, and we’ll always strive to give the customer the easiest solution. 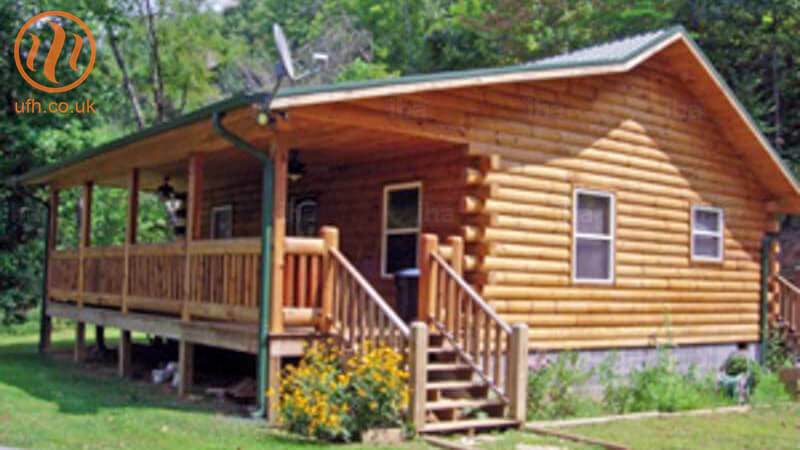 Increasingly, customers are increasing their property footprint and extending their homes. This can cause potential issues with different floor constructions, which means a combination of underfloor heating installations. Continental’s regular customers come to us with challenging scenarios they need solving. Sometimes it’s the simplest solutions that provide the greatest satisfaction. 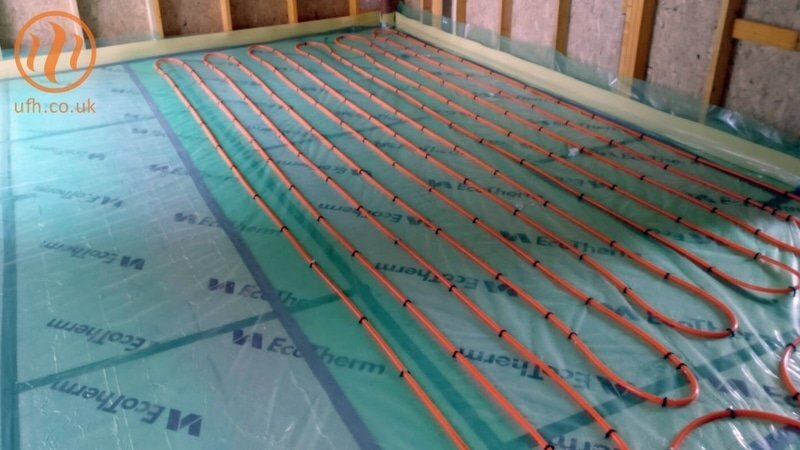 Underfloor heating installation is now part of most plumbers’ skills sets. 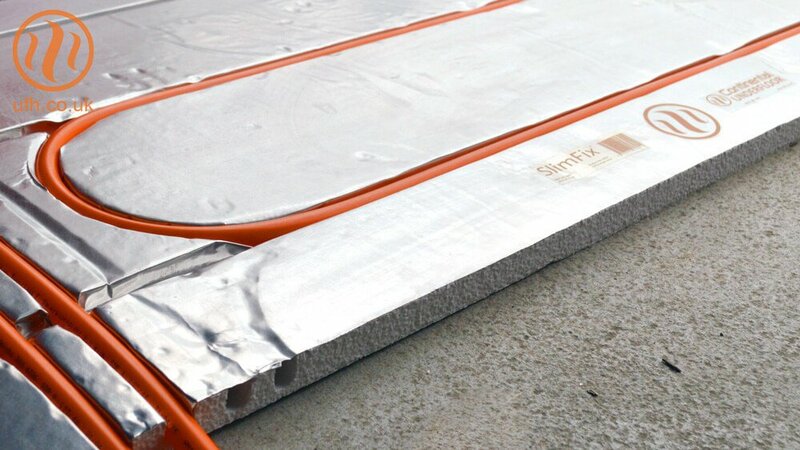 Underfloor heating is increasingly common, and is becoming accepted as a better heat emitter than other products. 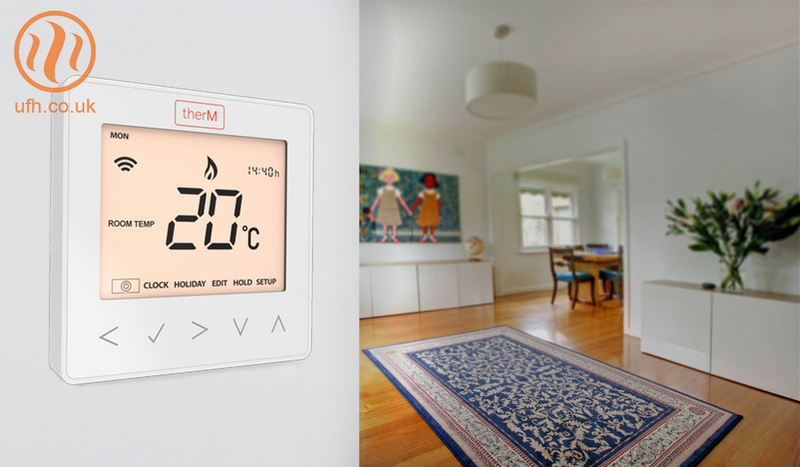 Smart thermostats are fast becoming a lot more widespread in the current market. The need for fast, efficient systems that are easy to control is growing rapidly. Thousands of extensions are built every year. They're a great way to allow additional space for growing families, or simply to increase the sales appeal of a house. 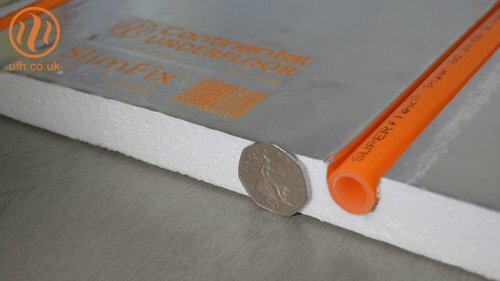 Over the years, Continental Underfloor has seen many types of different systems designed and installed, adding to our team's portfolio of knowledge and experience. 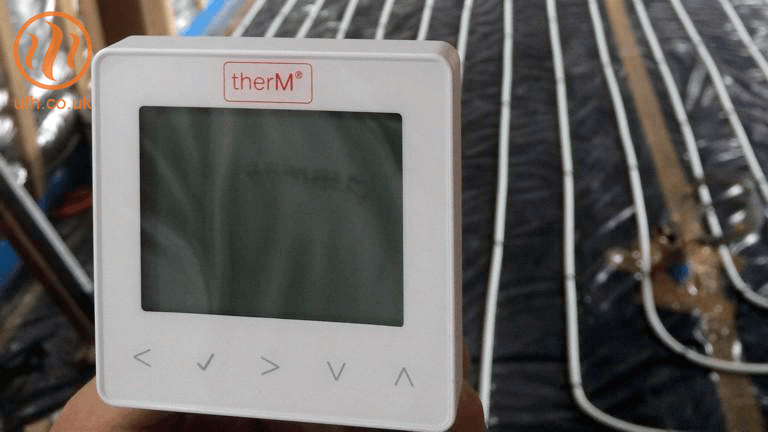 Underfloor heating on a first floor… is it possible? It is with Continental. 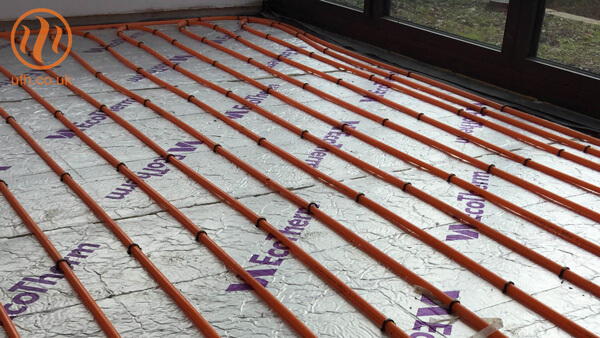 We offer a range of fitting systems for all floor constructions, dispelling the myth that underfloor heating isn't suitable for intermediate floors. It's not every day we come across unusual projects, but a Norwegian log cabin in Somerset was certainly one. 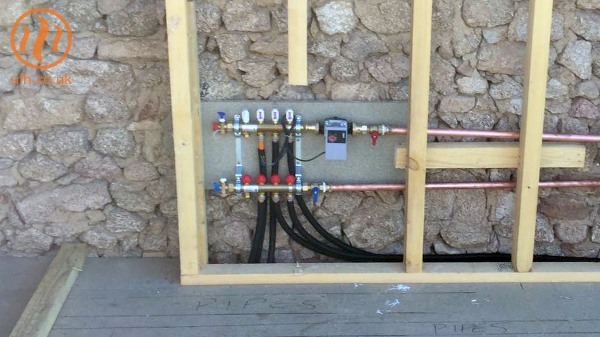 Our client wasn't sure whether underfloor heating was a viable option for his project. If it were possible, what would be his best options? There are still tradesmen in the UK that haven't had much experience of installing underfloor (yet...). 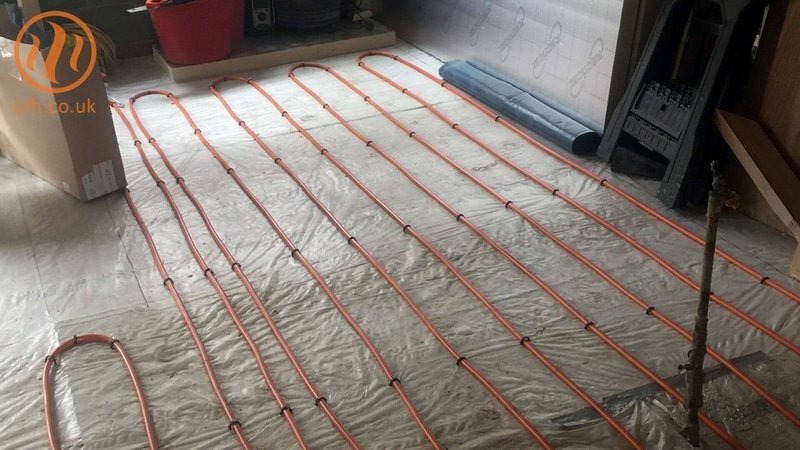 For this particular project, the installer hadn't fitted an underfloor heating system before, so he needed as much help and advice he could get. 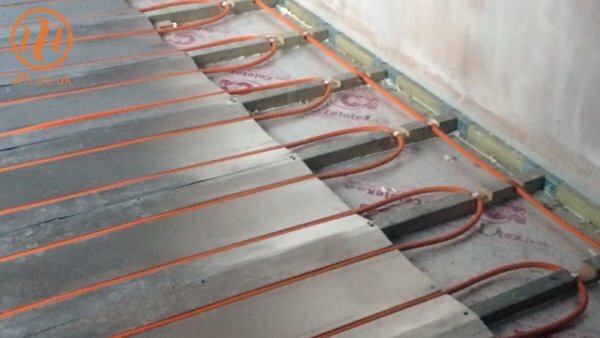 Underfloor Heating has developed over the years, and in this time it has become even more effective and smarter. From having the latest energy efficient water pump, to thermostats that automatically turn on when you get within a set distance of your home, it's always evolving. Continental has systems that suit all building types and floor constructions - so whatever the project specifies, we'll find a solution. 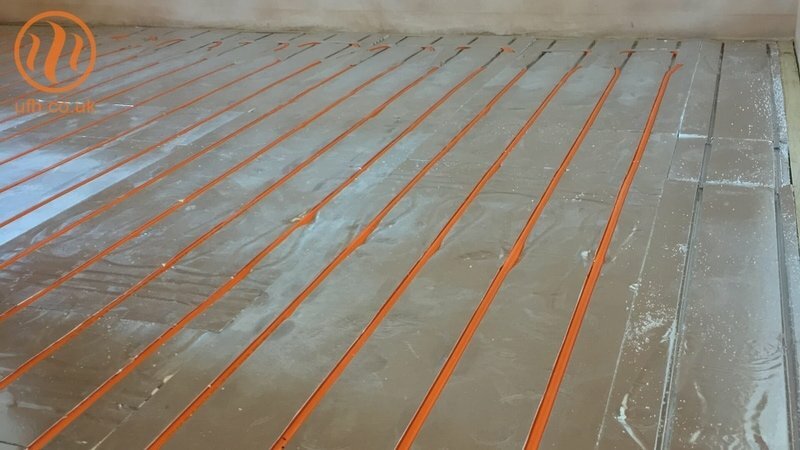 In this case, the customer was unsure whether he could have underfloor heating throughout the property, as the first-floor deck was already installed. 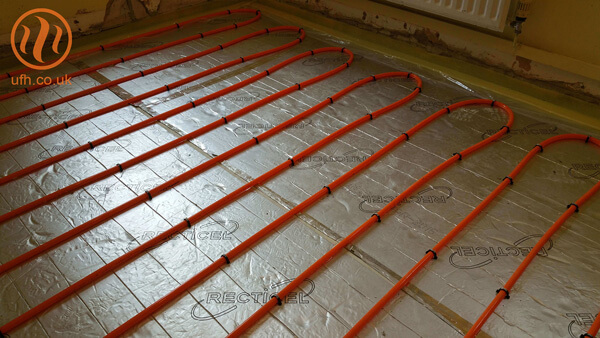 Worried about installing underfloor heating? Don't be. 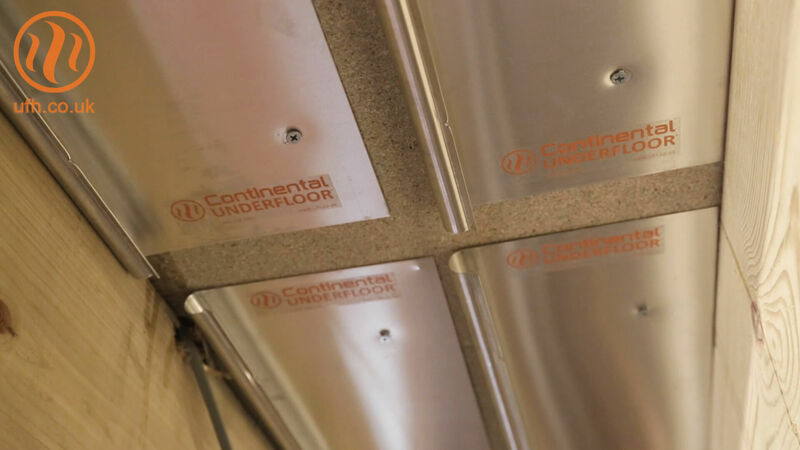 Continental Underfloor will work alongside you - and what's more, you'll speak with the same adviser from start to finish. 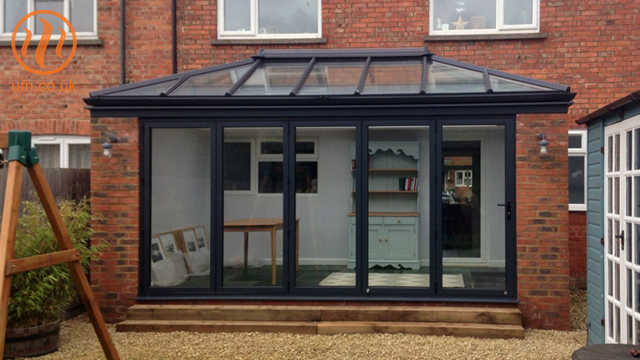 Our client for this conservatory build came to us with a short but clear brief. 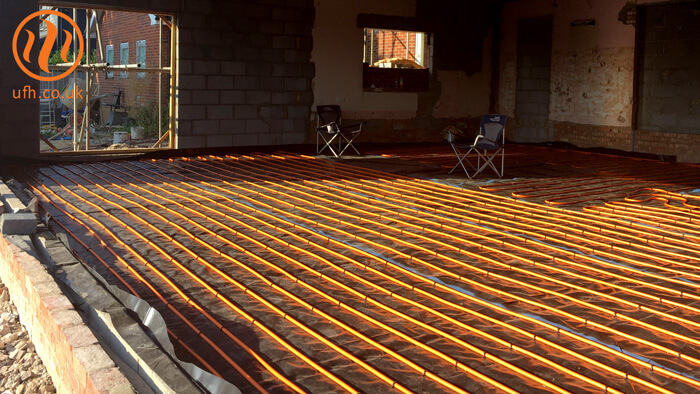 Underfloor heating had been an oversight, and they were due to lay the screed within a few days. "Can Continental deliver?" The answer was yes. 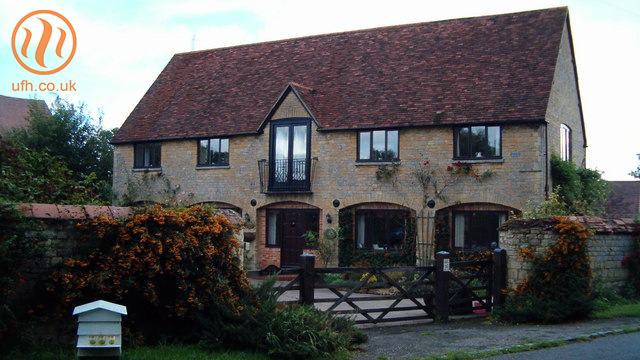 Our client was working on a barn conversion with a large ground floor, which had a traditional floor make up. 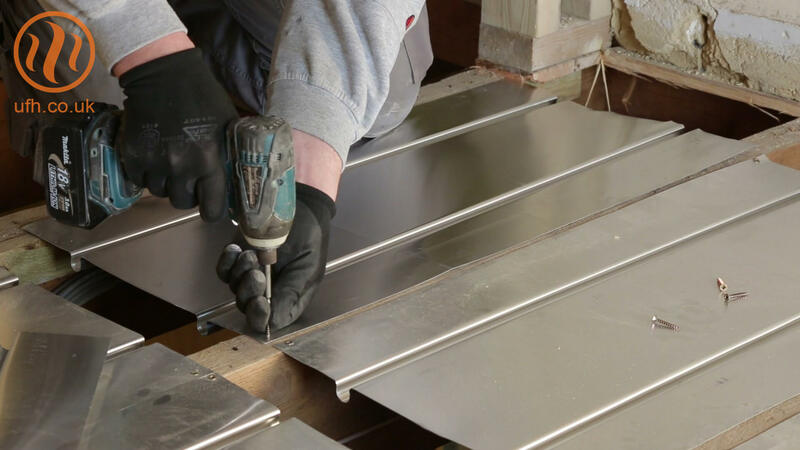 Speed and efficiency are always vital cogs in any renovation or new build. When you're trying to keep to a tight schedule and arrange for multiple trades to arrive on site, it can get very stressful. The developer had initially been taken on because of their experience with natural swimming pools. 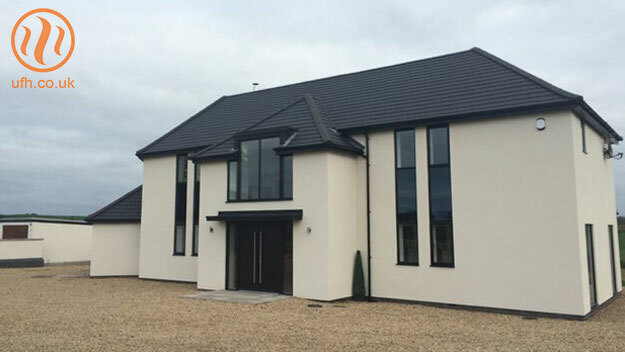 The customer was pleased with the developer's professional approach and insistence on using only premium products, so extended the contract for work on the property as well as the pool. The client had previously renovated a customer's property in the UK, and had the opportunity to develop a holiday home in France. The gîte in Naillat would include a heat pump as a heat source and underfloor heating throughout. There was to be a new solid floor on the ground floor, with joist construction planned for the two upper floors. 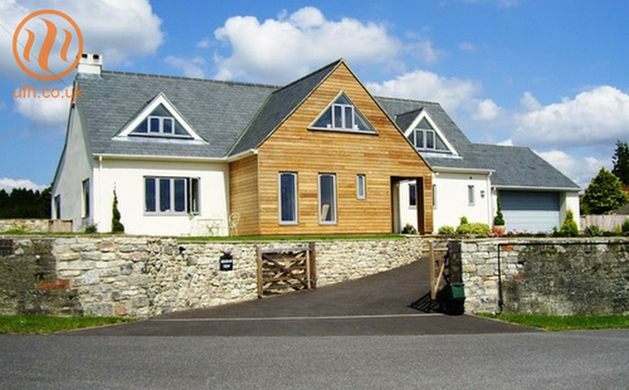 The project was a combination of existing and new build areas, so required a number of different install solutions. The customer was doing an extensive kitchen and dining renovation which involved completely replacing the ground floor. Having recently purchased the property he was keen to complete the floors before any of the additional works. Not wanting to go to the expense of commissioning detailed architectural plans, he employed a pencil and a tape (and no ruler…) so that underfloor heating could be priced. The Solent Lawns development properties had been designed as "upside-down" houses, giving the first floor living areas stunning views - an increasingly popular house design. The specification for all 9 properties was radiator heating throughout. 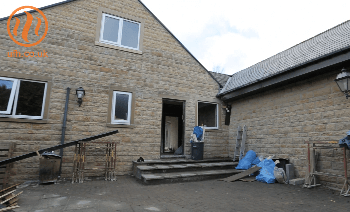 The customer was doing an extensive renovation that involved completely replacing the ground floor and adding a small extension on the first floor, incorporating a larger master bedroom and ensuite. 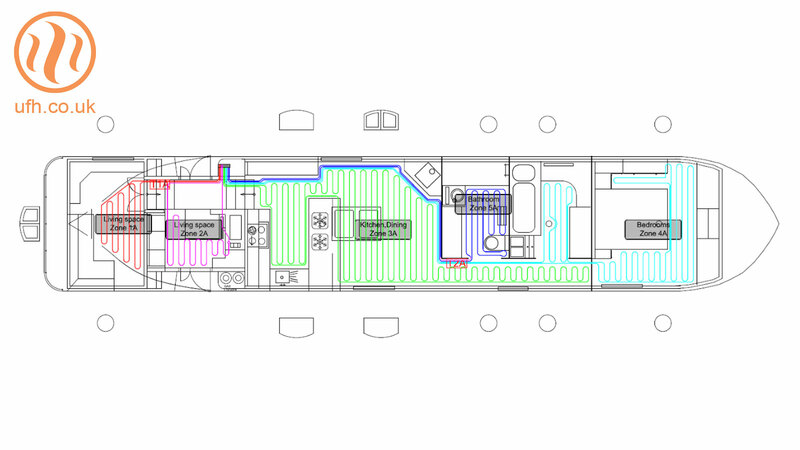 A unique opportunity came up for a different type of heating – installing a system on a contemporary houseboat. The builders had decided to use a heat pump for the heating system and needed a low temperature heat emitter to compliment it. The customer of this new build project in Surrey was very specific with his instructions. 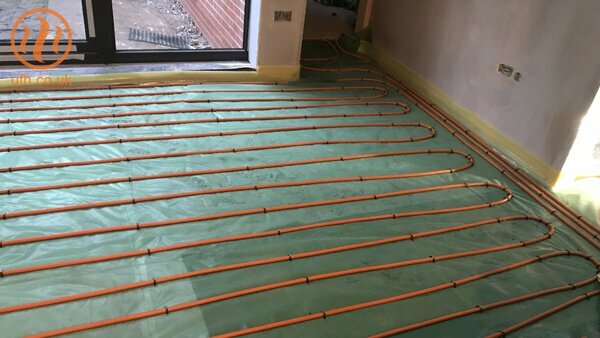 The heating system was to be underfloor in the kitchen and wet rooms, with radiators in the remainder of the ground floor. 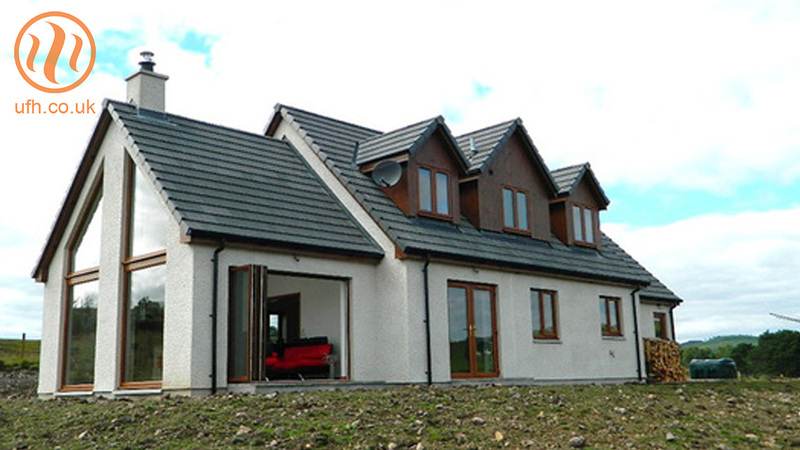 All materials installed in the property had to be of the highest specification. A developer was constructing two identical two-storey properties. 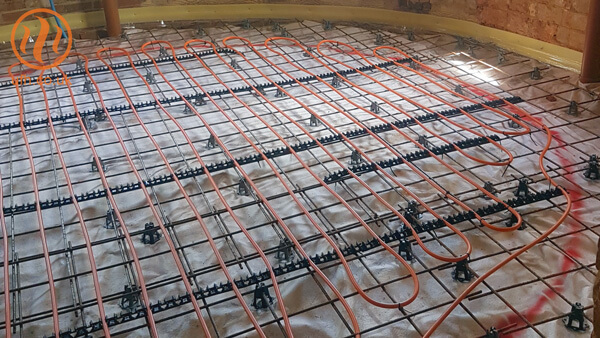 The ground floors were to have conventional liquid screed floors, with the underfloor heating pipes laid onto the insulation and the screed poured on top. The upstairs heating was originally specified as radiators, as the first floor deck had already been laid. There’s an increasing trend to develop urban industrial buildings and other older properties into flats. The apartments in this luxury London development needed to be finished to a very high standard. However, in large city-based projects, there are often challenges with timescales, poor access, and limited storage. That’s the question many homeowners are asking themselves these days, and an increasing number of them are opting for home improvements as the cheaper option. 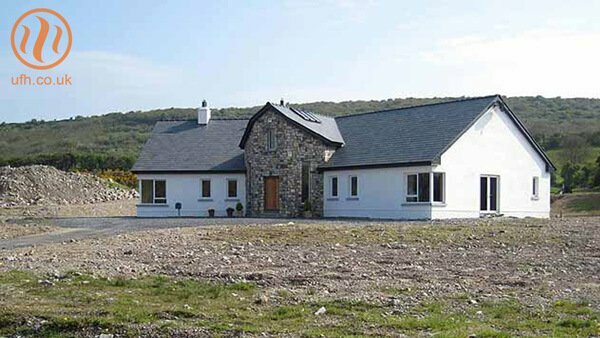 Underfloor heating is a popular option – it gives their property an added wow factor and a slice of affordable luxury.